Christchurch building company, est 1968. Timeless Scandinavian home design and craftsmanship. New home builds in Christchurch, Canterbury and Wanaka. Iconic kitset homes delivered anywhere in New Zealand or overseas. Open Monday to Friday 10am to 4pm. Saturday and Sunday 12 midday to 4pm. Open Wednesday to Sunday 12 midday to 4pm. Open Saturday and Sunday 12 midday to 4pm. Form and function: simplicity and elegance of form, effective and efficient delivery of function. Our architecturally-designed Timbermode homes are modern and stylish. Timber framed, they come equipped with premium quality components and inclusions. We often use timber claddings, but you can choose from any BRANZ approved cladding. The interior walls are timber and gib with customisable house plans to suit your taste. Timber frame homes which are a class apart from the conventional home. Our Solid Timber homes have solid timber walls, so wood is the dominant feature both inside and out. These solid timber homes are what many people traditionally associate with Fraemohs. Solid Timber kitset homes are easy to build and very popular. Enjoy peace of mind from their earthquake resistance. New in 2019. The Alpine Range of 4 bedroom homes are architecturally designed for exceptional comfort. Featuring diverse materials with high spec options available. This is Fraemohs’ take on the larger family home. Scandinavian architecture is timeless in its simplicity and style. 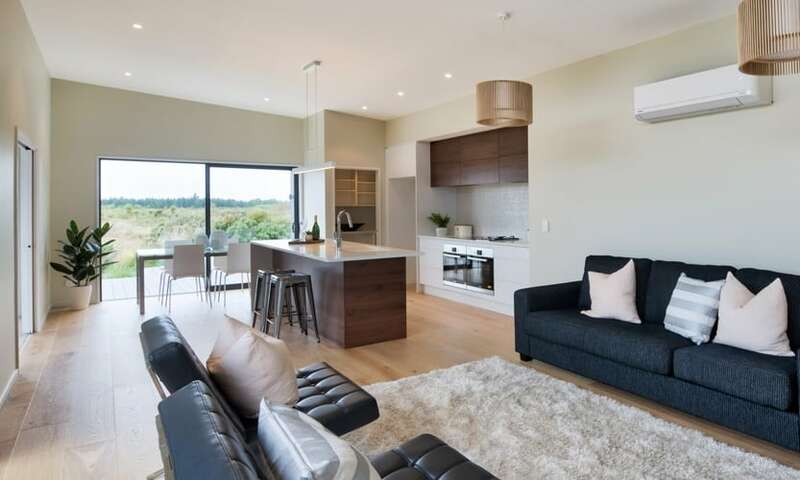 Founded by a Danish engineer who emigrated to New Zealand, we have been designing and building Scandinavian styled homes in New Zealand for over 50 years. We build our homes with sustainably grown New Zealand plantation pine. And employ a range of methods to ensure our homes are highly energy efficient. Upon completion of a Fraemohs Solid Timber home, it is carbon negative. A granny flat, chalet or tiny home can be affordable and easy to maintain. It can also provide a truly sustainable approach to home building. Available in both Timbermode and Solid Timber. From our base just north of Christchurch, we manufacture and supply fixed price kitset homes to customers around New Zealand and overseas. New house builds in Christchurch. And since 2018, we are proud to be building new homes in Wanaka too. A complete home design and build service in these regions, where we manage the entire build process from start to finish. A highly communicative Project Manager is assigned to every new build, who will be with you every step toward your dream home. We are trusted Master Builders.